Today we are announcing a 60% improvement in performance of General Purpose SSD (gp2) Volumes from 10,000 IOPS to 16,000 IOPS and from 160 MB/s to 250 MB/s of throughput per volume. 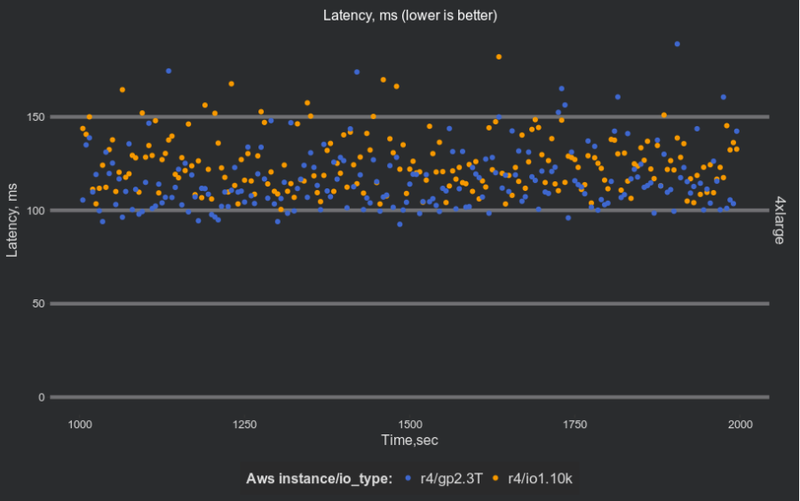 This entry was posted in AWS, Cloud, Computer, Hardware, Murmuring, Network, Service and tagged amazon, aws, cloud, disk, ebs, gp2, iops, performance, service, space, ssd, storage on December 6, 2018 by Gea-Suan Lin. 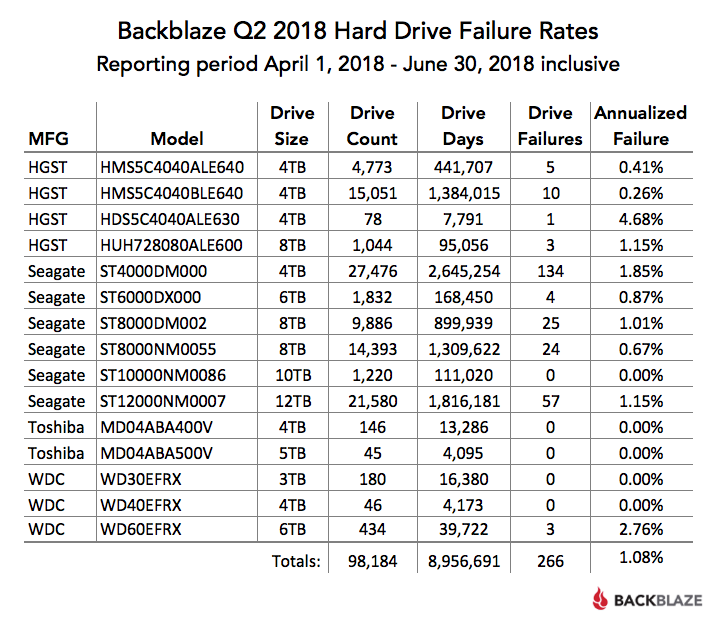 This entry was posted in Cloud, Computer, Hardware, Murmuring, Network, Service and tagged backblaze, disk, hard, hardware, hgst, seagate, wd on July 25, 2018 by Gea-Suan Lin. This entry was posted in AWS, Cloud, Computer, Hardware, Murmuring, Network and tagged amazon, aws, block, cloud, disk, ebs, elastic, extend, hdd, magnetic, ssd, storage, volume on June 29, 2018 by Gea-Suan Lin. This entry was posted in AWS, Cloud, Computer, Hardware, Murmuring, Network and tagged amazon, aws, cloud, disk, ec2, local, m3, m5, m5d, nvme, region, ssd, storage on June 5, 2018 by Gea-Suan Lin. This entry was posted in AWS, Cloud, Computer, Murmuring, Network and tagged amazon, aws, c3, c5, c5d, cloud, cpu, disk, ec2, instance, local, nvme, ssd, storage on May 18, 2018 by Gea-Suan Lin. General Purpose SSD (gp2) volumes offer cost-effective storage that is ideal for a broad range of workloads. These volumes deliver single-digit millisecond latencies and the ability to burst to 3,000 IOPS for extended periods of time. Between a minimum of 100 IOPS (at 33.33 GiB and below) and a maximum of 10,000 IOPS (at 3,334 GiB and above), baseline performance scales linearly at 3 IOPS per GiB of volume size. AWS designs gp2 volumes to deliver the provisioned performance 99% of the time. A gp2 volume can range in size from 1 GiB to 16 TiB. 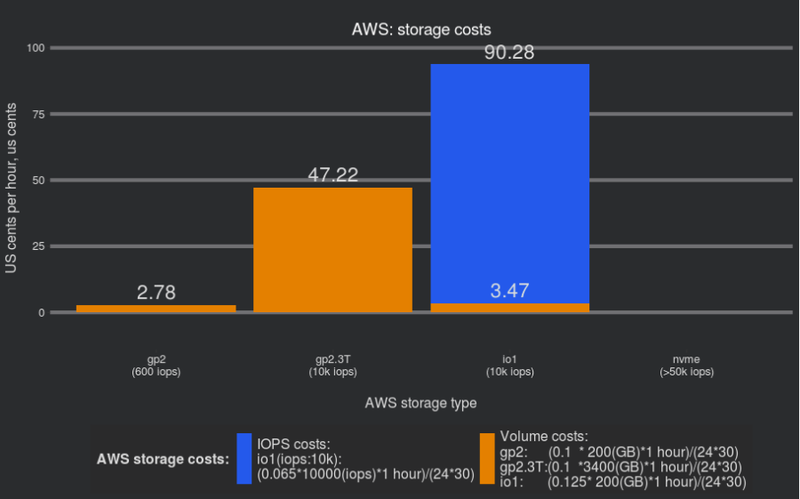 After publishing our material, Amazon engineers pointed that we should try GP2 volumes with the size allocated to provide 10000 IOPS. 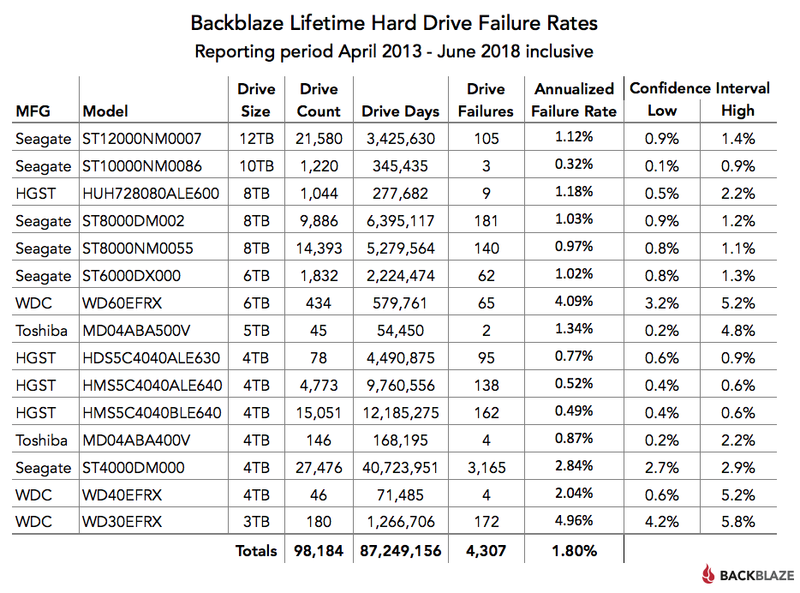 If we allocated volumes with size 3.3 TiB or more, we should achieve 10000 IOPS. This entry was posted in AWS, Cloud, Computer, Database, Hardware, Murmuring, MySQL, Network, Service, Software and tagged amazon, aws, cloud, cluster, cost, database, db, disk, ebs, gp2, io1, iops, mysql, percona, performance, speed, storage, volume, xtradb on April 1, 2018 by Gea-Suan Lin. 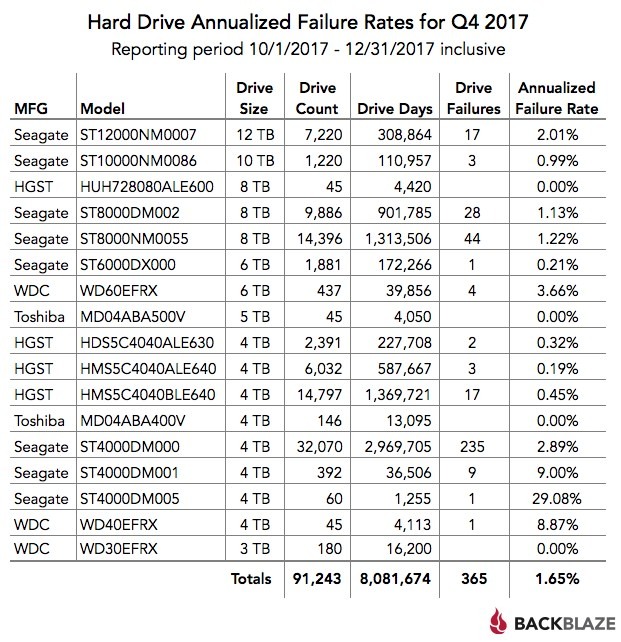 This entry was posted in Computer, Hardware, Murmuring, Network, Service and tagged backblaze, disk, drive, hard, hgst, seagate, stat, stats, storage, toshiba, wd on February 4, 2018 by Gea-Suan Lin. 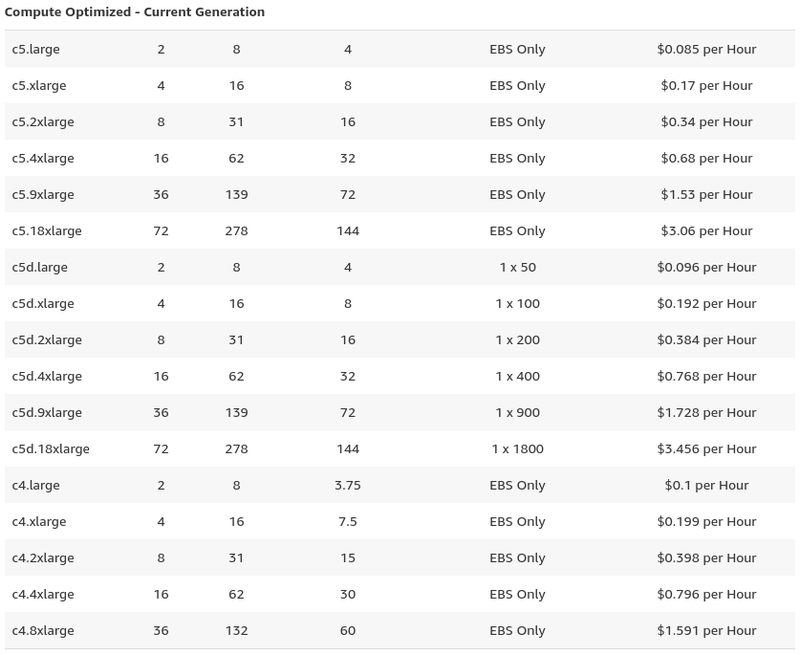 They're affordable - $0.10 per GB (free during the beta) and no usage fees. How big of a Volume can I create? Between 1 GB and 1024 GB for now. After the beta, the max volume size may be larger. How many Volumes can I attach to a Linode at the same time? The beta is free through 2017. January 1, 2018 the meter starts running. This entry was posted in Cloud, Computer, Hardware, Murmuring, Network, Service and tagged amazon, aws, block, disk, ebs, linode, space, ssd, storage on October 17, 2017 by Gea-Suan Lin. 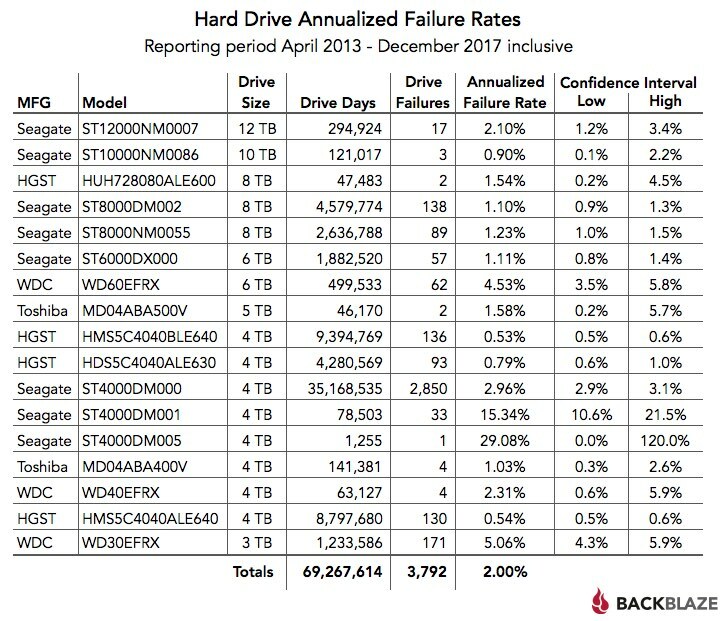 The current state of RAID1 read balancing is kind of complex, but the important thing here in all kernels since 2012 is that if you have SSDs and at least one disk is idle, the first idle disk will be chosen. In kernels with the late 2016 change, this widens to if at least one disk is idle, the first idle disk will be chosen, even if all mirrors are HDs. 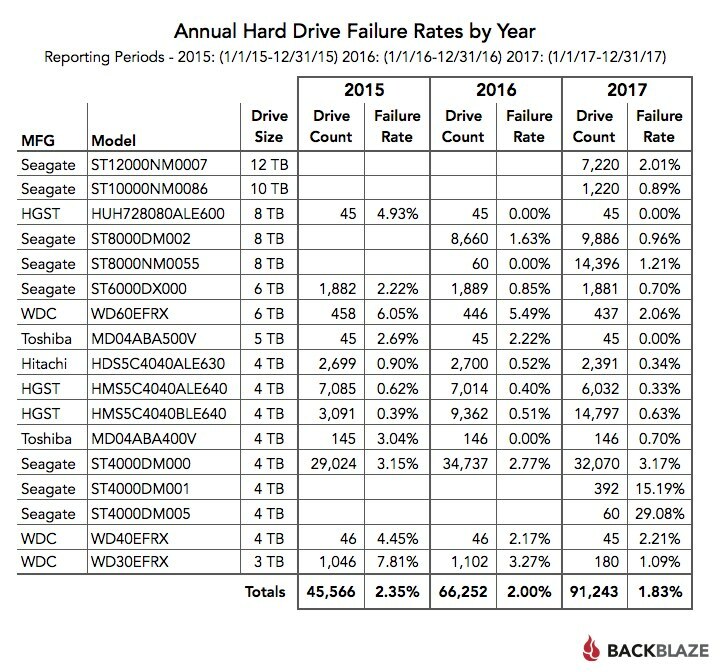 This entry was posted in Computer, Hardware, Linux, Murmuring, OS, Software and tagged disk, idle, input, io, kernel, linux, loading, output, raid1, read, smart, ssd on October 16, 2017 by Gea-Suan Lin.